The pace of change has reached revolutionary proportions. The impact of this revolution on our lives will be greater than anything that has happened in the last century. Perhaps the revolution is all about the rise of technical education and managerial skills. 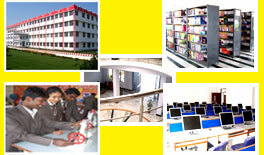 Our attention is focused upon the requirements of our educational movements. Because effective education begins with understanding, we do all we can to understand our movement's perspectives. We study the need of organizations and their competition, their strengths and their challenges. We strive to become part of revolutionary education by helping build and implement strategies for success. Ever since its inception, DSITM has focused on developing the best infrastructure and development of the technical leaders. In response to the rapidly changing technical environment and the process of globalization, the institute owes to make sustained efforts to bring national/international perspective to all its activities. DSITM aims to collaborate with all national level technical organizations and reputed corporate level organizations to participate in knowledge sharing sessions in order to enhance the academic atmosphere of the institute in terms of broadening the wisdom of the students and the faculty members.